Purpose: Can be used to cut seaweed, sandwiches, etc. This special cutter has a zig-zag cutting edge that provides easy cutting. Can use to decorate food. Also for those food that kids dislike, use this, just like what mummies in Japan did! Immediate Delivery upon payment !! 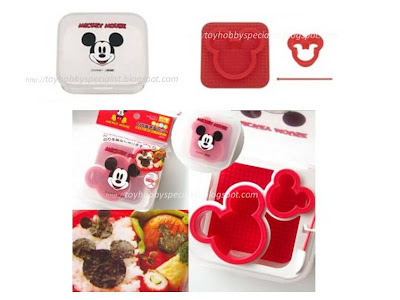 Order of $30: a kawaii gift (Sanrio Hello Kitty or Disney Mickey Mouse or Winnie the Pooh) will be given free!! Order of >$100: a kawaii item from Japan worth more than SGD 15.00 will be given free!! Please double-click on the picture to view a larger image.